Hi Everybody! Robert is back with another Going Solo article. Today, he is covering the legendary Stevie Nicks. My introduction to Stevie Nicks was her “Stand Back” video on MTV. I was blown away! I had never heard of Fleetwood Mac before, so this was a treat. Of course, now I’m very familiar with Fleetwood Mac. Stevie Nicks is my favorite member of the band, and I love all her solo work. “I Can’t Wait” to see what Robert has to say! So, take it away, Robert! The Dance. I thought your vocals on “Landslide” were haunting and amazing, but it wasn’t enough. I still refused to listen to your solo work. Recently, I have listened to at least one American Top 40 countdown from the ‘80s every day. Your songs have been popping up all of the time. And I like them. I was familiar with your duets with Tom Petty and Don Henley, but now I was really listening to them. Now I had to reconsider “Edge of Seventeen” – a song I had always refused to pay attention to. I listened closely – and – what a great song! I now feel the need to take a close listen to your first solo album Bella Donna. 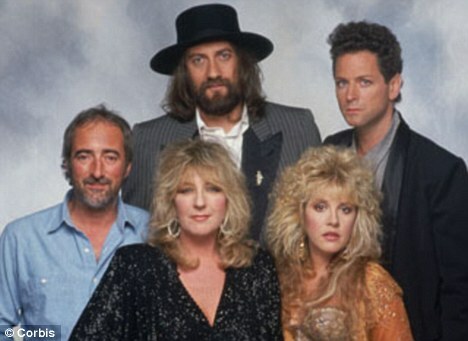 You released this album in 1981 after having wild success with the two previous Fleetwood Mac albums, Rumours and Tusk. You were clearly established in the rock world, but Bella Donna may have made you even bigger. The album reached #1 on the Billboard album charts, selling over four million copies and being certified quadruple platinum status. The album had four top 40 hits which are constantly played on classic rock radio stations today. This album is just a beginning to your wonderful solo career while you continued to work with Fleetwood Mac. Shortly after recording Bella Donna, you discovered that your pregnant best friend had been diagnosed with cancer. She named you God mother and you took care of the child after she died. These must have been very difficult times for you, but you clearly preserved and showed drive and determination by touring for this album and releasing your second solo effort in 1983, The Wild Heart. The evidence was clear, I just didn’t see it. You are an icon of the rock world and your solo career is just as strong and worthy of attention as is your work with Fleetwood Mac. Bella Donna is an excellent album and worthy of all of the accolades it has received. What a great way to begin the first solo album. There have been many interviews over the years and occasionally this song comes up. It seems that Nicks was making a personal statement with this song – one in which she is declaring her youth in the past and recognizing that it is time to move on. Nicks said of this song, “’Bella Donna’ is a term of endearment I use and the title is about making a lot of decisions in my life, making a change based on the turmoil in my soul. You get to a certain age where you want to slow down, be quieter. The title song was basically a warning to myself and a question to others.” I love this idea of recognizing the need to move on. If we never move forward we are doomed to be stuck in the past. Another solid track that is centered around the much used idea of temptation. The speaker in the song has recognized that the man she loved has given into the temptation of another woman. She realizes that she could have made it with this man, but not now. He will be haunted by the memory of both women and the actions he took that changed everything. This song is highlighted by an excellent guitar solo that has its own haunting quality. This song has the unmistakable voice of Tom Petty that accompanies Nicks. In addition, three other Heartbreakers help out on this song: Stan Lynch is on drums, Benmont Tench on keyboards, and Mike Campbell is on the guitar. Lyrically, this is a song in which the woman is seriously questioning the ability of her man to be worthy of the relationship. Her doubts are clear with, “Baby, you could never look me in the eye / Yeah, you buckle with the weight of the words.” I think this song can be connected to the first one, thematically speaking. As we mature, we are forced to see situations with clearer eyes – in a more truthful manner. Yes, this stinks, but if we do not then we are stuck in situations, or with people, that are not good for us. This song really sounds like a positive breakup song – is that possible? No hard feelings, regret, or animosity? In some ways, lyrically this reminds me of a Journey song; the upbeat, optimistic song that serves to give the listener confidence and a belief that good things will come. Nicks writes, “Even when you feel your life is fading / I know that you’ll go on forever / You’re that good / Heartbreak of the moment is not endless / Your fortune is your life’s love.” Is there any chance that this song is a touch autobiographical considering her relationship with Lindsey Buckingham? I’m just saying. Speaking of autobiographical. This song sounds as if Nicks is sitting down and talking to us about her life and outlook on her career. It seems that she is rather content with how things are going, “For me, it’s the only life I’ve ever known / And love is only one fine star away / Even though the living is sometimes laced with lies / It’s alright, the feeling remains / Even after the glitter fades.” Based on the title alone, I was fully expecting a cautionary tale about the pitfalls of stardom and the rapidity with which it fades. Instead . . . what a nice surprise. The video is a studio version of Nicks performing the song. This song features an infectious slide guitar and adds a level of consistency to the album. This is not a great or memorable song, but it is good and shows how Nicks is able to show consistently strong song writing that maintains her style. The song builds to an effective climax – but I think it suffers a bit from being in between two classic tracks. Sometimes I need to remind myself that songs do not need to be complicated or have deep lyrics to be truly great – this song is an excellent example of this. Here is a love song, a duet with Don Henley, that does not push any boundaries of originality. It uses simple imagery of leather and lace to show two people who seem to be opposites but have a close connection. There is a strong motif of home that is used to emphasizes this feeling of comfort-ability. This is a remarkable love song and Don Henley’s voice does nothing but make this song even better. The video is a live version and, unfortunately, does not feature Don Henley. “Love is a word that some entertain / If you find it, you have won the game.” It is a mistake to assume that every songwriter composes songs that are strictly autobiographical. 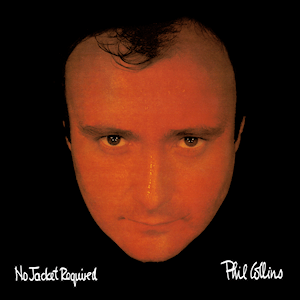 Take Phil Collins, for example. He has gone through a few nasty, public breakups. He himself has said that his second solo album is his “divorce” album and that all of the songs are about his failed first marriage. The relationship problems between Nicks and Lindsey Buckingham are very public and documented in several Fleetwood Mac songs. Nicks has been very open about the ups and downs of their relationship; so saying, I do not want to pigeonhole this song as being autobiographical, but is does have that feeling to it. It is nearly impossible not to think so when Nicks writes, “And it’s been like dying / No love is that hard to find / And I’m tired of – I’m tired of trying / Outside the rain / And the heart skips a beat – so you’re lonely.” If you notice a stronger presence of a guitar it is because Mike Campbell from the Heartbreakers is back. Solid stuff. There is a famous poem published in 1906 by Alfred Noyes with the same title as Nicks’ song. She follows a similar ballad style, telling a story of a about a man who is striving for glory and a woman who is searching for love in that man. I have no idea if Nicks was using the Noyes poem as an inspiration but there are some real similarities. Being an English teacher, you know I have to link you to the poem: (http://www.poemhunter.com/poem/the-highwayman) – read it if you have some time. This song is a great end to an excellent album that leaves plenty of hope for future Stevie Nicks albums. Ms. Nicks, I apologize with all of my musical heart. You are a fantastic vocalist who deserves to be deeply entrenched in the annals of ‘80s rock. You are a legend and all fans of ‘80s need to recognize your supreme talent. At times, these talents may be overshadowed a bit by your work with Fleetwood Mac, but your solo music deserves just as much attention. I have no good excuse for not appreciating your music when I was younger. Perhaps I just needed to get a little older to be able to truly tune into your songs. Whatever – I now hear your talents. I will always recognize you as one of the most important voices of the 1980’s. Hi Everybody! Robert is back again to continue the ‘Going Solo’ series! We have an interesting one today. I do like most of the songs The Police did. But, I was never a big fan of his solo stuff. There are only a few songs that I like from his solo years. So, I was looking forward to Robert’s take on these songs, and he does not disappoint! He got me thinking about, and listening to these songs differently. There are even a couple of songs on here that I had never heard before, and enjoyed. Maybe the same will happen to you. Enjoy! When I was in eighth grade, a family friend, who was also a DJ for Armed Forces Radio (AFN) gave me an album. This was not an unusual occurrence because he knew I loved music and had brought albums to me before. This one was different – it started my love for an amazing songwriter and a group of supremely talented musicians. The album was Synchronicity by the Police. I was to learn later that this would be their last studio album together and that the vocalist, Sting, was about to launch an impressive solo career that is still going today. 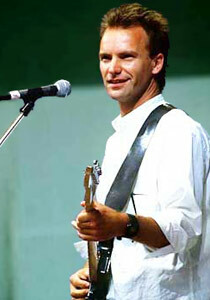 As the main lyricist and vocalist, Sting with the Police had a very successful, albeit short lived career. The Police were formed by Sting, whose real name is Gordon Sumner (vocals and bass), Stewart Copeland (drums), and Andy Summers (guitar) in 1977 and recorded their first album in 1978, Outlandos D’Amour. This album spawned no hit singles in the United States, but does contain the now famous song “Roxanne” that was beautifully performed by Eddie Murphy in his first film 48 Hours. The Police would soon become staples on the American charts. Their second album Reggatta de Blanc did not have any hit singles in the States either, but the album did reach #25 on Billboard’s album charts. In 1980 they released Zenyatta Mondatta which reached #5 on the album charts and had the hits singles “Don’t Stand So Close to Me” and “De Do Do Do De Da Da Da.” They followed this with The Ghost in the Machine (1981) and the iconic Synchronicity (1983). The hits singles “Every Little Thing She Does is Magic”, “King of Pain”, “Wrapped Around Your Finger”, and the mega-smash hit “Every Breath You Take” all come from these two albums. The Police have sold over 100 million albums worldwide – 22 million in the United States alone. Despite this, the band and lead singer Sting seemed less than content. After a failed attempt at a follow up to Synchronicity, Sting decided to part ways with the band and embark on a solo career. Sting, who began his adult life as an English teacher, was always the main lyricist for the Police. He was never short on ideas and continued to write songs. In 1985 Sting released his first solo album Dream of the Blue Turtles. This album reached #2 on Billboard’s album charts and sold 3 million copies – not a bad debut. In addition to receiving several Grammy nominations, the album contained four top 40 hits: “If You Love Someone Set Them Free” #3, “Love is the Seventh Wave” #17 “Fortress Around Your Heart” #8, and “Russians” #16. It is safe to say that with this album, Sting was able to maintain the success that he achieved with the Police. After Dream of the Blue Turtles, Sting continued to produce quality music as a solo artist and not as a member of the Police. Before his second solo album, Sting made appearances with Phil Collins the song “Long Long Way to Go” and with Dire Straits with the opening line,“I want my MTV” from “Money for Nothing.” Sting released his second album Nothing Like the Sun in 1987. This album increased Sting’s worldwide popularity with four more charting singles and being certified double platinum. Personally I love this album because the title is an allusion to a famous Shakespearean sonnet. Sting will continue to produce quality solo albums as well as write music for films and, most recently, a successful Broadway musical The Last Ship. Sting has produced such an eclectic blend of music that some people find him hard to listen to on a regular basis. His first solo effort, Dream of the Blue Turtles, is a must for any fan of ‘80s music. He combines rock and reggae from his days with the Police, but he does not stop there; he writes meaningful lyrics and combines them with jazz, rock, reggae- you name it. Sting is a true artist and this album puts his talents on full display. I will do my best to not sound too much like an English teacher, but Sting is such a good writer that I am not sure I can avoid it. The clearest memory I have of this song, other than liking it, is how much my girlfriend (now wife) hated this song. When I asked her why, her response was always, “It is just so stupid. You can’t just let go of someone you love. That’s dumb.” Clearly I disagree. Sting’s sentiment in this song is not original, he is just restating the idea that to see if you truly love someone, let them go; if they come back the love is true. Already in this first track, Sting’s way with words shows, “You can’t control an independent heart / Can’t tear the one you love apart / Forever conditioned to believe that we can’t live / We can’t live here and be happy with less / So many riches, so many souls / With everything we see we want to possess.” Sting is able to take an idea that is usually stated as a cliche and give it an original, well written slant. This is a great way to begin the first solo album. Here is the first (of many) songs by Sting that needs a little explanation. A strange part of me has always liked to do research – I think this is part of why I became an English major. The title and chorus of this song refers to a sailor’s belief that, in a series of waves, the seventh one was always the strongest and would wash away anything in its path. Sting is being unusually optimistic when he writes, “Feel it rising in the cities / Feel it sweeping overland / Over border, over frontiers / Nothing will its power withstand.” Love is the force that will defeat all of the bad in the world. Sting experiments with musical styles throughout this album; this song has a clear reggae element to it. Sting is not one to shy away from controversy and in this song, like “Russians”, Sting is very clear about his message. Most of the verses in this song are about the English soldiers who fought in World War I. England copied most countries and sent young men into battle. The poppies mentioned a number of times in this song are traditional symbols of death and are used today as a form of remembrance of any soldiers who have died in war. Sting does not hold back in criticizing the, “Corpulent generals safe behind lines / History’s lessons drowned in red wine” – typical Sting. The last verse makes a sudden change and draws on the idea of poppies being the source of opium and all of the young lives that are hurt by it. This is a powerful song that may polarize listeners. This song is a cover of a song that Sting first recorded in 1980 as a member of the Police from the album Zenyatta Mondatta. The Police version is a slow, bass heavy, reggae influenced song. As a solo artist, Sting reinterprets this song and it becomes a jazz composition. He changes none of the lyrics, just the tempo and instrumentation, but it is a completely different song. Here is another song where Sting speaks for the voiceless. This song captures the hardships of those who worked in coal mines for a living. The setting of this song is unclear, but that does not matter; the outcome for the workers is very clear, “Our blood has stained the coal / We tunneled deep inside the nation’s soul / We matter more than pound and pence / Your economic theory makes no sense.” This is not the last song in which Sting will defend the people that the mainstream media ignores. He draws our attention to a deserving situation, making us more aware of a group of people who have gone unnoticed for generations. As the title suggests, this song has the simple appearance of a break up song. In typical Sting fashion, he does so with good writing that does not always make an appearance in contemporary music. To describe the break up, Sting uses this imagery, “Roses have thorns / Shining water’s mud / And cancer lurks deep / In the sweetest bud / Clouds and eclipses / Stain the moon and sun / And history reeks / Of the wrongs we have done.” Once again – just great writing. I do not listen to instrumentals on a regular basis. In fact, off the top of my head I can name only a handful, but this is one of them. This track is an upbeat jazz composition that highlights the expert musicians that Sting surrounded himself with featuring the likes of Omar Hakim on drums, Kenny Kirkland on keyboards, and Branford Marsalis on the saxophone. This is a cool little song that will help listeners experience a little more jazz than normal. This is another fascinating song whose lyrics I pored over and became fascinated with. With this song, Sting may have been a bit ahead of his time by beating the vampire craze by a few decades. As the title suggests, the setting of the song is New Orleans. The first person narrator is a vampire who is struggling with the curse laid upon him. His frustration lies in the isolation that life has forced upon him. He is in pursuit of a woman, but “I must love what I destroy and destroy the thing I love.” I have always liked this song and now when I listen to it I hear the haunting qualities that it possesses. The video is a live performance with the Berlin Royal Philharmonic Orchestra. Here is my favorite song from this album. This is a beautifully written love song that uses war imagery – not your typical romantic ballad. It seems as if the speaker in this song has spent some significant time in protecting his love – perhaps too much. He has been so concerned with ‘protecting’ her that he has lost sight of why she is important. He is now coming to terms with this and realizing that he may not be able to hold on to her. Sting writes, “I had to stop in my tracks for fear / Of walking on the mines I’ve laid.” The chorus continues, “If I’ve built this fortress around your heart / Encircled you with trenches and barbed wire / Then let me build a bridge / For I cannot fill the chasm / Let me set the battlements on fire.” He is hoping that it is not too late to save the relationship. I am not sure that there are many better written hits from the ‘80s. The Police, soundtracks, pop, jazz, rock, reggae, Broadway, acting, member of the Rock and Roll Hall of Fame – you name it and Sting has done it. It is rare that such a talented individual comes along. Even rarer that one is able to sustain a musical career over so many years. Sting is a unique artist who uses his music to entertain and draw attention to problems in the world. For some, this makes him unappealing. Your thoughts on Sting as a person or artist aside, Dream of the Blue Turtles is an excellent album from a decade of excellent albums. Sting’s solo work belongs on every ‘80s fan list of must haves. Hi Everybody! Robert is back again with a new entry in his totally awesome ‘Going Solo’ series. We’re in for a treat today, as he covers one of my all time favorite singers – Steve Perry. Journey was my favorite band throughout the ’80s. I first heard of Journey from their Escape album, although I’m pretty sure I had been familiar with “Lovin’ Touchin’ Squeezin'”, but just didn’t know it was them. So, one Christmas I asked for some Journey albums (well, actually cassettes). I was expecting to get Escape. Instead I got their self titled debut, Next and Evolution. I loved all of them, but I’ll give you 1 guess of which one I played more than the others. Their pre-Perry stuff was really good. Neal Schon just totally shreds on most of the songs, and Gregg Rolie had a good soulful voice. But, when Steve Perry arrived, he just brought them up to a new level. Well, I Believe that Robert is bringing Return to the ’80s up to a new level as well. So, Don’t Fight It, and enjoy this great article! Come on, be honest. You have been expecting an article on Steve Perry since you read the Phil Collins article. I cannot believe I have waited this long! In making my list of solo stars who came from groups, Steve Perry was first on the list. I promised myself that I would wait for at least three other solo stars before I got to Perry. Phil Collins – check, Peter Cetera – check, Don Henley – check. That makes three and good things come to those who wait. Well, I have keep the promise to myself. Here it is: Steve Perry. Of course, there was life before Journey, but that is not really that important. After a few failed attempts at music as a career, Perry was ready to give up until he was given the chance to audition for a progressive rock band out of San Francisco. After what ended up being a clandestine audition while the band’s original singer was away, the band hired Perry and the rest is, well, you know, history. Journey now had a great vocalist – radio success was on the way. Not all members of the band were happy with then turn away from progressive rock to a more popular rock sound, but the success cannot be denied. Journey’s first album with Perry as lead vocalist was the 1978 release Infinity, which contained the singles “Lights” and “Wheel in the Sky.” Journey had its first two charting singles and an album that reached #21; Perry’s place was now solidified. Perry would go on to record six more studio albums as a vocalist for Journey. Album sales would skyrocket and singles would continue to make their way up the charts. Despite all of this success, Journey has never released a single that would reach #1. The closest they came was “Open Arms” from the Escape album which spent six weeks at #2 in 1982. Almost unbelievably, the two singles that kept this song out of the top spot were (in order): “Centerfold” by the J. Geils Band, and “I Love Rock and Roll” by Joan Jett and the Blackhearts. Despite this lack of #1 single, Journey’s popularity would be evident in their album sales. With Steve Perry as a vocalist, Journey sold over 41 million albums worldwide (add another 20 million if you want to count greatest hits albums). In 1983, Kenny Loggins released a duet with Steve Perry called “Don’t Fight It.” The song reached #17 on the Billboard charts. This was perhaps the first sign of Perry wanting to do something outside of Journey. Later that year Journey would release the album Frontiers. Perry would tour with Journey in support of this excellent album. The tour ran into 1984 – and now, finally, the subject of this article! In 1984 Steve Perry would release his first solo album Street Talk. The album was successful, selling over 2 million copies and peaking at #12 on the album charts. Perry released four singles from Street Talk: “Oh, Sherrie” #3, “I Believe”, “She’s Mine” #21, “Strung Out” #40, and “Foolish Heart” #18. At the end of the original video for “Foolish Heart”, Perry is seen walking offstage to the waiting members of Journey; they embrace and extoll the desire to make a new record. They would, but things would never quite be the same. 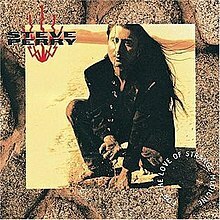 That is plenty of information, now let’s look at this fantastic album, Steve Perry’s first of two complete and released solo albums- the only one released in the ‘80s, Street Talk. I challenge you to find an opening keyboard sequence that is more recognizable as the one in this song. You may find one that is close (a-ha, maybe), but this one definitely ranks near the top. Now try and find a match to those vocals that utter the now iconic, “You should have been gone, knowing how I made you feel / And you should have been gone, after all your words of steel.” This you cannot match. The song is an amazing opening to the album. It is a nearly flawless song that may have only one problem. Years ago I remember reading an interview with Neal Schon (guitarist for Journey). He was asked about this album and song, his reply, “We gave Steve our blessing to make a solo album – not another Journey album.” Perhaps that is why the song charted so well. It has a clear rock sound that Journey helped popularize in the early ‘80s. Whatever, I don’t care. This is a simple love song to his girlfriend at the time. It is a song that helped define the music of the decade. Here is a nice little song about a relationship that may have turned sour. The guy is trying to hold on to it and help the woman see that is will be worth the time and effort. He says, “Well I know there’s a solution / Right here in our hands / Then the lonely, lonely hours we’ve wasted / Won’t be back again.” This song has a little ‘50s musical touch – a solid song and a good second track. So let’s say that you are in love with someone and, unfortunately, it doesn’t work out. You hold on for as long as possible, but then you just have to move on. Well, what you have is another Steve Perry song – and a good one. Perry has a clear ability to write songs with simple lyrics that pack an emotional punch. 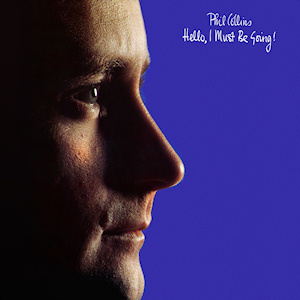 For instance, “Go away, go away / I sing goodbye to you / When the song is one you’ll be on to someone new.” Since this is a solo album by a fantastic vocalist, the music take a bit of a back seat; be sure you do not miss the guitar in this song. Most people do not want to spend their lives alone. The speaker in this song is in the uneviable situation of (still) looking for that special someone. He is tiring of making the wrong decision. The beautiful song sounds a bit autobiographical to me. Perry has gone through several meaningful relationships – see “Oh Sherrie” – but has had trouble finding a lasting one. His recent reappearance is due in some ways to the sad death of Kellie, a close companion of Perry’s (read more about her here- he is very open about it: http://fanasylum.com/steveperry/). This song has the singer begging for better guidance and help to find true love, “I need a love that’s strong / I’m so tired of being alone.” The video is simple, but effective. There is Perry, onstage – alone. Speaking of difficult relationships – this song describes another one. Here there is a man at his wit’s end, “I don’t need this condemnation / There’s no room for mistakes / There’s no time for forgiveness / It’s written on your face.” The frustration is palpable. I really like how the song builds to a climax with a burst of guitar. What do you say – let’s stay with relationships, shall we? Here there is a man who is posturing and fighting for the one he loves. It seems like another guy has creeped into the picture and – as you can guess, the singer does not like it, “I heard her call out your name / Late last night in her sleep / That’s why I came here to say / No, it won’t be easy to steal her away.” Just a bit confrontational. This is another song with some great guitar work. This is a track that really sounds like Journey. The song rocks a bit, has solid lyrics, and a big chorus. I really like the twist that Perry puts in the last repetition of the chorus. During the entire song the singer is marvelling at his former love’s unhappiness. It is as if he is saying ‘Hey, we broke up! You should be happy’ – as the title suggests. The songs ends with, “But now I’m happy, now I’m on my own.” Nice optimistic twist. Many Journey songs could be called inspirational – “Don’t Stop Believin’” or “Be Good To Yourself”, for example. This songs has the same sort of feel. It tries to provide that push some need to believe in themselves and continue the drive to be a success. I think this song has some of Perry’s best writing: “Looking down I watch the night / Running from the sun / Orphan stars and city lights / Fading one by one.” Gorgeous. I am a complete sucker for allusions! I love when I read or listen to an original work that refers to other people or events. Allusions make this song one of my favorites on this album. The first verse alone has four allusions: “Where did he go / The man who said I have a dream / Where did they go / The four who sang let it be / Jackie’s alone / She lost him one November day / L.A. motel / One sad mistake took Sam away” Wow! Martin Luther King, Jr., The Beatles, JFK, and Sam Cooke all in one verse – fantastic. The song, and allusions, continue to become an homage to the great artists who came before Perry started his career. 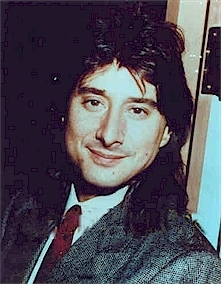 Despite the success of this album and of his next one with Journey, Raised on Radio, Steve Perry would not release his second solo album until 1994. There was another solo effort that was started in 1988 – Against the Wall – but it was never completed. In 1994 Perry released For the Love of Strange Medicine. I feel obligated to include two of the songs from this album. I distinctly remember driving on an old Nebraska highway when I first heard this song on the radio. I nearly drove off the road! Steve Perry has a new solo album! I am not joking when I tell you I told the next twenty people I saw about it. The song is a rocking plea – one in line with Night Ranger’s “Sister Christian” and Poison’s “Fallen Angel.” The singer is imploring a teenaged girl to slow down and not be drawn into the seedy underside of the world. This song gave millions of fans hope that Perry was back for good. Unfortunately, this was not the case, but what a great song. This is an excellent ballad that reminds me the Journey’s song “When You Love a Woman” which will be the first single from Trial By Fire, the 1996 album that marked Perry return to the band for just one album. There is nothing fancy about this song. It is just a great ballad from an artist with a great voice. For most fans of ‘80s music Steve Perry would be the first name they think of if asked about solo acts who started with bands. Street Talk is a fantastic album that once again displays the unique vocal talents of one of the most iconic voices of ‘80s rock. If you are reading this then you, like me, hope beyond all hope that he will one day release new music. Recent reports reveal that Perry has renewed his songwriting copyright. Last summer he made appearances at both a San Francisco Giants baseball game where he lead the crown in a rendition of “Don’t Stop Believin’” as well as showing up at an Eels concert to sing a few Journey classics. His voice should never be silenced and this solo effort shows why. All of us fans of ‘80s rock (im)patiently await his return. Hi Everybody! We have Robert back again this week to continue the Going Solo series. Today he will be covering Don Henley, who came into prominence with the Eagles. 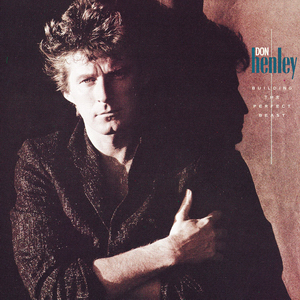 After the band’s breakup in 1980, Don Henley had an incredibly successful solo career in the ’80s. I love all his work both in the Eagles and in his solo career. The music is great, and the lyrics to most of his songs are outstanding. He can paint quite a picture. Now, before Hell Freezes Over, let’s hop in the Fast Lane with Robert as he takes us on a tour of Don Henley’s music. In 1977 I was eight years sold. I had received my first radio the previous summer and I was really getting into music. I listened to that radio every day and every night, sneaking it under my covers if need be. I had not bought any records – just pure radio. There were many songs that I liked, but one really stood out. It touched me so much that it became the first 45 I ever bought. I don’t think I really understood the song, “New Kid in Town”, I just knew that it made me sad. This was when I became an Eagles fan. I would not buy any of their albums until college, but I borrowed a few and learned everyone one of their songs that was played on the radio. A few years later, as I was really getting into music, I learned that the Eagles were considered one of the all times great rock bands, but they broke up in 1980. That song that I loved so much was one of their later successful singles. Fast forward to 1984. I was living in Germany by this time, but the radio was still one of my constant companions. In Germany we received one American radio station – AFN. The station had to appeal to many listeners so the programming was eclectic. I made it a point to tune in to AFN every Sunday from 2-6 pm – that was when they broadcasted The American Top 40 with Casey Kasem. This was truly one of the highlights of my week. I actually kept a notebook that listed all of the #1 songs (geeky, I know – but this was before the age of the internet). Some time in early 1985 a song really caught my attention. The voice was so familiar – I knew I had heard it before. The song was “The Boys of Summer” and the singer was Don Henley. The voice of that great song from my childhood was releasing his own music! I needed to go buy it. After begin a vocalist and drummer for the Eagles, Don Henley began his solo career in 1981 with the release of the album I Can’t Stand Still. This album was moderately successful with the biggest single being “Dirty Laundry” (which I like way more now than I did then). Henley also released a duet with Stevie Nicks called “Leather and Lace.” In addition he gave a song, “Love Rules” to the soundtrack to the classic ‘80s film Fast Times at Ridgemont High (if you do not have this soundtrack, check out the scene with Stacy and Rat when they are looking at yearbooks). This was an admirable start for Henley as a solo artist, but even better music was on the way. In late 1984, Henley released a song that would place him firmly in the chronicles of ‘80s rock. The song “The Boys of Summer” came from the album Building the Perfect Beast. This song had everything that I liked in a song: good beat, clear guitar work, great vocals, and lyrics that had some meaning to them. I bought this album on the strength of this one single and I was not sorry. This album made me a true Henley fan. Over the next several years I bought everything I could find that he was a part of. 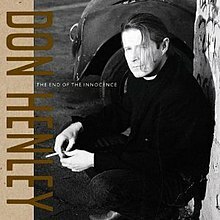 I remained a huge fan of Don Henley’s music and was again rewarded with an even better album in 1989 End of the Innocence. I was honestly blown away by the music and lyrics that Henly created here. I continued to follow Henley and the Eagles through the reunions and some new music, but nothing compared to these excellent classic albums of the ‘80s. Now I have a dilemma. Return to the ‘80s typically features an entire album. Forgive me, but I am going to emulate the Toto article and choose my favorite ten songs from these two albums. The opening cymbals and guitar riff make this song instantly recognizable to most fans of ‘80s music. This excellent tune examines a strong summer love that has disappeared despite the promises that were made. The male voice in this song realizes, maybe too late, that that woman was the best he could get, “I thought I knew what love was / What did I know? / Those days are gone forever / I should just let them go, but. . .” – you know the chorus. This song received the appropriate accolades: it won the video of the year at the MTV music awards and Henley won the Grammy for best rock male performance. The song needs to be included in any list of the greatest songs of the ‘80s. This song is a bit unusual for Henley (or the Eagles), in that it is a completely keyboard driven rock song – keyboard solo included. I liked this song very much the first time I heard it – I love the feel of this song. It is an easy scene to picture- the beach, the sun, people of all types – all centered around the Sunset Grill where the owner “calls all his customers by name.” Henley, as usual, displays his writing chops, “You see a lot more meanness in the city / It’s the kind that eats you up inside / Hard to come away with anything that feels like dignity / Hard to come away with any pride.” I admire songwriters who are strong in the lyric category. Some of my notable favorites are Prince, Sting, and, because of lines like this, Henley. I decided to put this song on the list instead of “Not Enough Love in the World” (which reached #34 on the Billboard charts) because, simply put, this is a better song. As an English teacher, I try hard to make some concepts clearer for students to understand. I use rock music every chance I get. Springsteen, Bon Jovi and this song show up every year. This somber, piano driven song, highlights the classic struggle between the way things are and the way they used to be. Some may dismiss this song because it does not have a catchy chorus or rhyming lines. Do not make this mistake. This is an agonizing song that captures middle America as well as John Cougar’s “Rain on the Scarecrow“. Whenever this song comes on the radio, someone in my family always criticizes it for not saying anything except “All she wants to do is dance.” Granted it does say this line at least fifteen times, but there is much more to this song than the chorus, a good beat, and an infectious rhythm guitar. This song is about complacency. We see all these bad things around us, but most are unwilling to help or even pay attention to what is going on. Henley is urging us to take action and help solve some of the country’s problems; do not just go on like nothing is happening. This song has depth for those who listen closely. Did you ever like a song and were not too sure why? This is one of those songs for me. I like the catchy rhythm guitar and solo. I like the imagery of the difficulty of accomplishing something while our eyes are closed. Besides, it is not often that a rock song will have allusions to French poets. This album is full of great songs, but this may be my favorite. Many will recognize Bruce Hornsby’s stylings on the piano, but Henley’s lyrics make this song great. He captures the human propensity to return to older days when things were simpler. Clearly life has always been complex and full of pitfalls, but we do not recognize this until we are older. Most of us idealize our youths – clearly I do by writing for Return to the ‘80s. All of my memories of those days are perfect. My adult self understands this is impossible. As we age, we see and experience the negative aspects of life and, because it is harsh, we return to the memories of our youth. Enough philosophy! This song is excellent and once again shows what a great writer Henley is. This song brings back memories of college. I was a catering student manager (which I enjoyed); in the summer the five student managers ran the entire kitchen which remained open for summer students. We did everything: cooked, cleaned, washed dishes, mopped – everything. They were long days, but we made it fun; we all became great friends and hung out after work, too. One night after a particularly hard day, we were mopping – and this song came on the radio (yes, we mopped each night with the music blasting). The chorus of the song was perfect! It became a ritual to play this song right before we left for the night. The song itself is a great love-ish song where the singer is trying to convince a woman that her life is not over. After a difficult break up is experienced, we need to take time to heal and then get back in there and not let it ruin the rest of our lives. Another great, albeit, somber song. I was first drawn in by the song’s title. Henley uses this idiom to show how so much can happen in such a short amount of time. The character, Harry, has had enough of his hustle and bustle Wall Street life – so he just disappears. The narrator of the song does his best to explain Harry’s, and therefore, our, situation: “Lying here in the darkness / I hear the sirens wail / Somebody’s going to emergency / Somebody’s going to jail / If you find someone you love in this world / You better hang on tooth and nail / The wolf is always at the door.” Yet another great Henley verse to ponder. I like to think of this song as a philosophical love song. Clearly a difficult breakup has occurred. The natural reaction is to be upset, bitter, and let it affect the rest of your life and relationships. Henley says that we need to grow and get to a place where we are able to forgive the other person as well as ourselves. The song’s bridge says this perfectly, “There are people in your life who’ve come and gone / They let you down and hurt your pride / Better put it all behind you; life goes on / You keep carrying around that anger, it will eat you up inside.” This is a touching song that challenges us to forgive others. The video is a live performance from 1990. I chose this song for three reasons: 1. Lyrically, this captures Henley’s personal philosophy, 2. That searing guitar is just too good to deny, and 3. Axl Rose is the backup vocalist. There have been plenty of examples of Henley’s writing here, but again he shows his knack for placing strong ideas inside of lines that rhyme: “Too many tire tracks in the sand of time / Too many love affairs that stop on a dime / I think it’s time to make a few changes ‘round here.” The lyrics set up an aggressive song that is enhanced by those guitars that hit you like a slap in the face. Need more aggression? Add some vocals by one of the most known singers of the late ‘80s, Axl Rose. What you have here is just a great rock song. There you have it – one of the best songwriter/vocalist/drummer from the ‘70s and 80s. I have loved Don Henley’s music, but his lyrical content is second to none. Let me throw in a little English teacher love here. In 1990 Henley helped form the Walden Woods Project which set out to save Walden pond, one of the most sacred spots in American literature. It is the place that Henry David Thoreau lived for two years and became his inspiration for Walden, one of the most respected books in the entirety of the American literary canon. Don Henley is more than just a drummer or a songwriter. He has made himself a clear, strong voice in the American environmental movement, as well as a deserving member of the Rock and Roll Hall of Fame (with the Eagles). His work in the ‘80s is timely and powerful. All of the tracks on both of these albums deserve to be featured here and listened to over and over again. Hi Everybody! Here is the latest entry of the “Going Solo” series, presented by Robert. 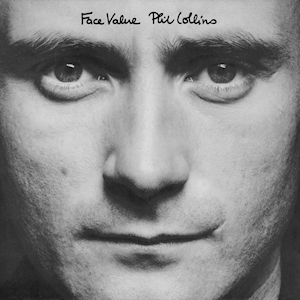 The first entry was Phil Collins. Now, we have Peter Cetera of Chicago fame. While Chicago had been around for a while, and I’m sure I heard their music in the ’70s and early ’80s, my formal introduction to Peter Cetera and Chicago was seeing Cetera clinging on the hood of a red convertable, trying to get the girl in the music video for “Stay the Night“. Chicago would go on to be one of my all time favorite groups. They were actually my first rock concert. But, that was long after Peter Cetera was gone from the band. Well, that’s all I have to say for now, but I’m sure Robert has at least “One More Story” on the subject. Take it away, Robert! One advantage of growing up in Germany and attending Frankfurt American Junior High School and Frankfurt American High school was that our field trip was to Strasbourg, France. On the 1984 trip I actually ended up with some extra money before the train was to bring us home. Not wanting to bring my parents change, I quickly ducked into a music store and purchased two albums that would go on to be two of my favorites. One of those albums was Chicago 17. I owned a few albums by Chicago and was excited to listen to their latest. This album was Chicago’s most successful release and I was absolutely drawn to the lead singer’s voice. At the ripe old age of 14, I was very into reading liner notes – I wanted to know who wrote the songs, who sang, who played, and who produced. I especially loved the albums that included lyrics. I developed the habit of reading the liner notes for a few days before I even listened to the music. In my opinion, this is the major piece missing from downloading digital music. I discovered that the singer’s name was Peter Cetera and he also played bass – that sets up the focus for the second installment of ‘80s solo artists who started with a band, but broke away to create their own music. failed. In 1986 Cetera gave a song to the soundtrack of The Karate Kid, Part II – now he had a solo career! This excellent song, “The Glory of Love”, reached #1 on the Billboard charts. This huge hit was included on Cetera’s first solo album Solitude/Solitaire. This album clearly marked Cetera’s break from Chicago. 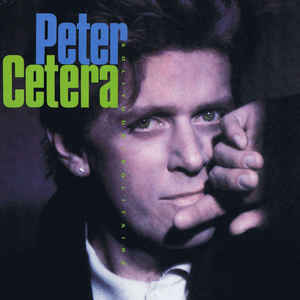 He wanted to continue with the band in addition to recording his solo music (much like Phil Collins and Genesis), but the band refused the offer, and Cetera was now a true solo artist. All told, Cetera released seven solo albums in addition to that first effort. These albums spawned only four Top 40 hits – clearly the early success of his solo work could not be sustained, but that first album- wow, what an album. What a perfect time to take a look at this great album, Solitude/Solitaire. The album opens with a somewhat surprising track. 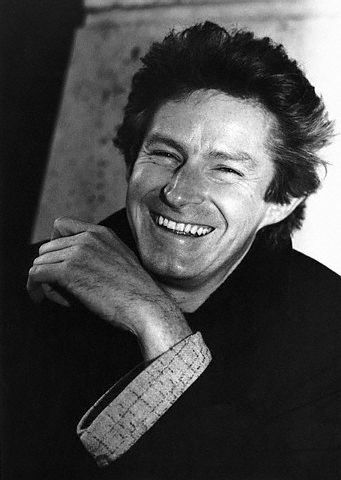 As the vocalist for Chicago, Cetera was best known as the voice of some great ballads (You’re the Inspiration, for example). Despite this, the opening song for this album is an upbeat, catchy tune that, honestly, rocks a little bit. The song is about the desirable for Mr. Right who, in the morning, turns out to be Mr. Wrong. The song does not come off as a warning, though, rather, it has a clear tone of being of pleading – ‘Hey, he is the wrong guy for you – I’m the right one, if you could only realize this.’ Listen closely for the bridge because a guitar solo follows it – wait, there is a second solo at the end of the song, too. I think Cetera is trying to make a clear distinction between his solo work and his work with Chicago. This song is a great way to start the album. The second track takes on the difficult task of using cars as an analogy to women. Many say that older cars were built better and were more dependable – not the same with modern women. Cetera turns this into an homage to the modern woman who can think for herself and has more depth than just the obvious physical attributes. He sums this up best with, “I’m so tired of hearing some people say / Everything is moving much too fast / Things were better in the good old days / Let them have their opinions, never gonna change their mind / They lived a long time ago when times were tough / And a real good woman was hard to find.” This is a bold statement; better yet, this is a great song. This is the single that got most people to notice Peter Cetera and buy this album; I, honestly, cannot blame them – what a perfect ballad! I can only imagine how many times this song was played at high school dances, proms, or put on a mixtape (I will happily admit to putting this song first on a mixtape I made for my girlfriend). Karate Kid II may have been the vehicle for this song, buy it definitely holds it’s own. There are so many great ballads from the ‘80s, but there are only a few that I would put in the category of being flawless. In fact, three come to mind right away: Journey’s “Faithfully“, REO Speedwagon’s “I Can’t Fight This Feeling“, and Cetera’s #1 hit here. Besides, what girl would not want to hear, “I am a man who will fight for your honor / I’ll be the hero you’ve been dreaming of.”? This song strikes me as a sort of part 2 of of the second song. Yes, modern women are tough and strive for what they want, “Cracking that whip / Making her own decisions / Taking no lip / Living with no conditions.” The strength is clear, but it may come with a price: “She cries when she’s alone.” This is a solid song that adds to what is shaping up to be a great solo album that is a clear departure from Chicago (notice, you have not heard a horn yet). This next song was also on a soundtrack to a film that was released in 1987. The movie was the very successful Three Men and a Baby and, despite not being written specifically for the film, the song fits perfectly. I liked this song when I was in high school and, now that I have two daughters myself, this song pacts an incredibly emotional punch. I am sure this song has been played at countless weddings. My younger daughter discovered it herself one day as she was going through my albums – I think she played it for three days straight! It does an excellent job of capturing the special bond between a father and a daughter; unfortunately, it ends with the daughter leaving with her husband, replacing the father – cycle of life. (before her huge pop crossover). It is a simple song about recognizing past mistakes while holding out hope for the future. This is a really good ballad that, while it doesn’t have the punch of “Glory of Love”, still holds a place on this album. 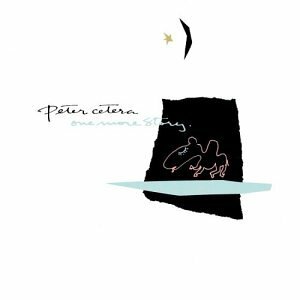 In the title track, Cetera captures a feeling that we all have at times: the need to get away from it all. This may be the most personal song on this album. Musically, it builds well and has a simple, yet effective drum beat that holds the listener’s interest. The album ends with a heartfelt ballad that represents what Cetera is best known for – powerful love songs. This one is a sad one where the singer is reflecting on a strong relationship that has ended and has no real hope for being rekindled. The singer’s pain and uncertainty can be seen with, “It’s gonna be a long, hard road without you / And there’s one thing you should know / Tell me who will I turn to / When I get in trouble / I really don’t want you to go.” Acceptance and sadness all rolled into one. 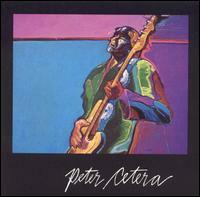 Cetera followed the success of Solitude/Solitaire with another album in 1988 – One More Story. The single “One Good Woman” reached #4 on the pop charts. In 1989, Cetera teamed up with Cher to record “After All” for the film Chances Are. This song, like “Glory of Love”, was nominated for an Academy Award for best song from a film. The voice is unforgettable. Peter Cetera has provided the vocals for so many great songs – most remember the ballads, and that is fine, but do not forget the high quality of the other, more upbeat tunes. Cetera differs from Phil Collins in that his most famous work is with the band Chicago, and not his solo recordings. Do not let this take away from his body of solo work. Cetera’s 1986 album deserves a spot alongside other classics from this decade. If you have not given Solitude/Solitaire a listen, do yourself a favor and get a hold of it right now – you will not be sorry.